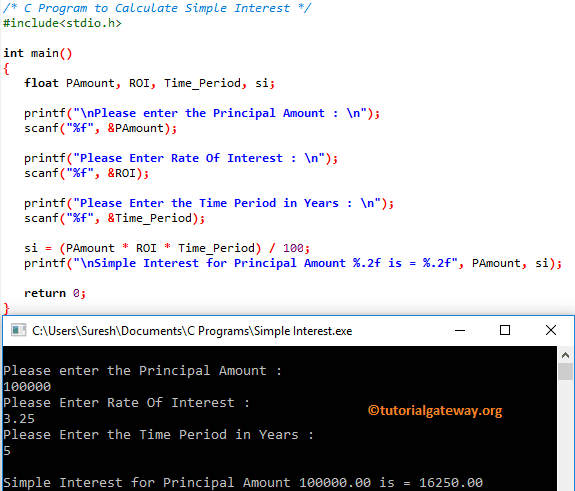 In this article, we will show you, How to write a C Program to Calculate Simple Interest with an example. This C program allows the user to enter the Principal Amount, Rate of Interest, and the Number of years. By using those values, it will calculate the Simple Interest using the above-specified formula.